No...those can't be real, can they? No...please Jeebus, no! Ahhh! Hahahaha! I got you! Those aren't real. It's a picture I found when looking for something else. But it actually works perfect for todays oddities post. So I'm using it. First, though, I would like to apologize, (not), for yesterdays post. It was icky. It was also odd. Icky and odd. Sounds like a Saturday morning cartoon, doesn't it? Or something on Carton Network. I should copyright that. Icky could be a talking Skink of the genera Prasinohaema. Icky could be prone to sudden, violent nose bleeds. And since that particular genera of skinks have green blood, it's easy to see how he got the name Icky. Odd could be a non-anthropomorphic pencil. Oh man...I can see this working! I'll make millions! Or, I would if I wasn't to lazy to expand on the idea. If one of you want's to do all the work bringing Icky and Odd to life, I'll gladly give up all claim to them for only 40% of the profits. What? Sounds fair to me. I did the hard work of creating them. Their antics practically write themselves. So, it's not like you'd have to do any work. Whatever. But I digress. I was saying a few lines back about how that picture fit todays post perfectly. And that's because it depicts a product being used in a manner that is not normal. I'm going to tell you a tale of a popular product that, I'd be willing to be quite a few of you have in your home right now, that was once used for something totally different. And that product is, Lysol. 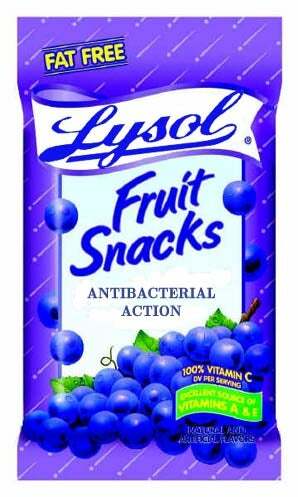 Lysol was invented in Germany in 1889 to help stamp out a cholera epidemic. It was a fabulous disinfectant. In fact, that's why it's used for that purpose today. However, the formula today is different than it was back then. One of the reasons it worked so well to kill germs was, it was poisonous. In fact, by 1911, the preferred method of suicide in Australia was to drink Lysol. This was a bad thing. So the makers of Lysol tweaked the formula and started to market it to a different market. In 1920, Lysol used it's reputation as a highly effective disinfectant to begin marketing it's self to women. But not as a cleaning product. Well, not a house cleaning product, at least. It was marketed as a feminine hygiene product. A douche, if you will. Anyone who has used undiluted Lysol today has probably noticed that it's irritating to the skin. Back then, it was even worse. But that didn't stop women from using it. Why, the itching and irritated red skin meant it was working! But the 1950's Lysol was the leading feminine hygiene product on the market. It was also the most popular method of birth control. But, by the late 1960's, doctors started to notice a trend. Women who used Lysol had.....problems......in the nether yeh-yah. It was found that using Lysol as a hygiene product and as a birth control method wasn't very good for you. In fact, it could kill you. So, in 1969 the FDA ordered Lysol to knock it off. The owners of Lysol threw up their hands and sold the company. The new owners diluted the formula a bit and slapped on a new label and started selling it as a disinfectant again. Women all over America were surprised to wake up one day to find their favorite douche and baby stopper was suddenly covered in warning labels expressly warning against those two uses. Since 1969, Lysol has been one of the leading brands of disinfectant in the nation, and around the world, really. Just don't douche with it. Everyone knows Pine-Sol works better for that.